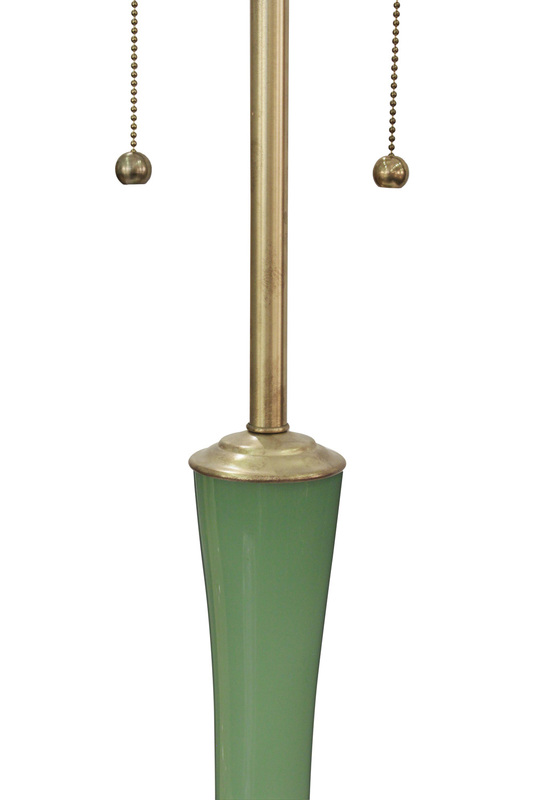 Large and striking handblown green glass table lamp with gilded base and brass fittings by Marbro Lighting, Sweden, 1960s (signed with Marbro label). 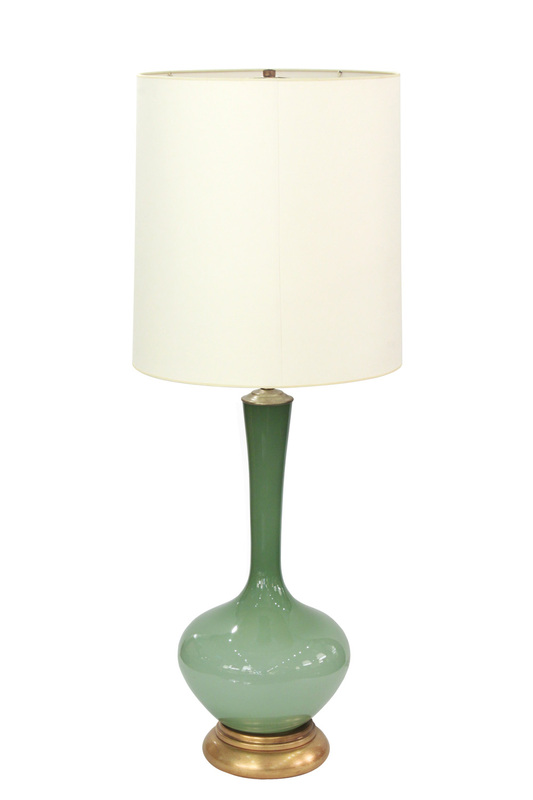 This lamp is a beautiful shade of green. 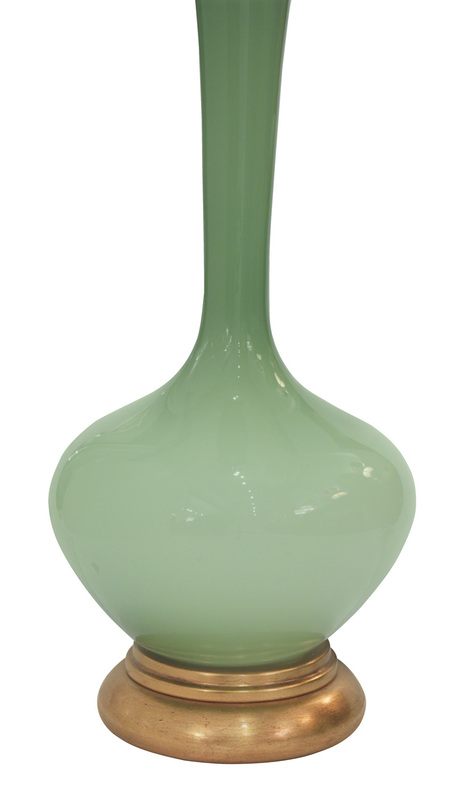 Shade is 15 inches in diameter.